Formerly known as ‘The Veterans’, the first Club organised solely for the veterans athletic movement was the Veterans Athletic Club of England. this Club was founded in 1932, and apparently still exists. The Interssen- Gemeinschaft Alterer Langstreckenaufer (The World’s Best Veteran Long Distance Runners) was formed in 1968 and held its inaugural marathon the same year. Of course elder athletes had been competing for years and 1965 is the date most commonly used as the start of the world wide movement. This year saw the start of the Veteran (Masters) movement in the USA. In 1971 a meet at Crystal Palace, London, with veteran athletes from Canada, USA and Australia competing against each other, heralded the start of true international competition. Consequently, as a result of this small beginning, the First World Masters Games took place in 1975 at Toronto in Canada. From this first meeting the World Athletic Veterans Association (WAVA) was formed, Wal Shepherd of Australia becoming one of the founding members.The IGAL (above) and WAVA amalgamated although keeping their separate identity. Subsequently the commencement of World Games, every two years commenced. 1978, Gothenburg, 2,750 competitors. 1979, Hanover, 3,400, from 57 countries. 1981, New Zealand, 2400 with 700 from Australia alone. 1983 Puerto Rico. 1983 Puerto Rico. 1985, Rome, with some 4360, 1987 Melbourne and 4660 participants, 40 of these from Tasmania, 1989 Eugene, USA, 1991 Turku, Finland, 1993 Miyazaki, Japan, 1995 Buffalo, USA, 1997 Durban, South Africa, 1999 Gateshead, UK with over 6000 competitors from 74 countries, 2001 Brisbane, Australia, 2003 Carolina, Puerto Rico, 2005 San Sebastion, Spain with over 6000 competitors from 91 countries, 2007 Riccione, Italy with 9000 competitors. Next Championships are scheduled for Lahti, Finland 28 Jul – 8 Aug 2009. February 7, 1979 saw the formation of the Veterans Athletics Association of Tasmania (VAAT) after an initial meeting at Rosny College, called by Clive Roper. Ken Davey was elected first president. The Association was accepted into the Australia wide body of the Veterans movement, AAVAC (Australian Association of Veteran Athletic Clubs). So with humble beginnings in the South of the State, fun runs and track and field during summer months, the Association spread throughout the whole of the state.1981 saw the introduction of our first Newsletter Footnotes, and the initial running of the Southern Cross Marathon and Half Marathon at Richmond. This event was run annually until 1999 by which time numbers had dwindled to 22 in the marathon and 65 in the half. While the number of runners had decreased the traffic had increased to such an extent that the event had become dangerous. In 1983 we hosted the Australian National Veteran Marathon Titles at Richmond where over 260 runners competed in the two events.1983 also saw the acceptance of women in the Tasmania Marathon Championships, held at Cressy. Only through the women of the Veteran athletic movement was this brought to justice. Also in 1983, possibly one of our finest moments came when 10 Veterans, over the age of 40 years broke the World Record for a 24 hour continuous relay. The distance covered was 420.512km. In 1985 we hosted the National Veterans Track and Field Championships in Hobart, for the first time, where over 350 veteran athletes from throughout Australia competed over four days. 1987, directly after the World Games in Melbourne, Tasmania hosted the first Australian Masters Games and our Association successfully directed the athletic component of those games. A return of the National Track and Field Championships in 1992, attracted in excess of 450 athletes, for a most successful meet. We also conducted the Nationals in 2000 but numbers were down to 325. The Championships are held over the Easter weekend each year, which this year was late April, causing some athletes to skip the meet for fear of cold weather. We again hosted the National Championships from 6th – 9th April 2007 with 431 competitors including 96 from Tasmania from a membership of 200. During the past 31 years, since the inception of the Veterans Athletic Association of Tasmania, which has since been Incorporated, membership gradually increased to a maximum of 269 in 1992/3 but has recently leveled off to around 180. In 2001 the World body changed its name from World Association of Veteran Athletes to the World Association of Masters Athletes, Australia followed suit soon after and gradually the states followed, with the exception of the ACT. 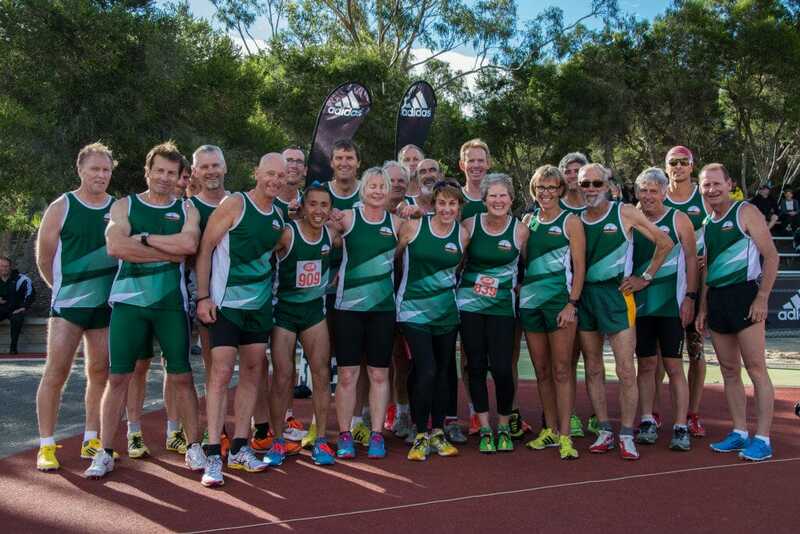 The Veterans Athletic Association of Tasmania was renamed Tasmanian Masters Athletics at the AGM of 2002.The Association is deeply committed to athletics, in all its forms, and is an active participant in the wider athletic community, with a bright and healthy future. Jim Burr was born in Scotland in 1918 and emigrated to Tasmania in the early 1960s with his wife Agnes and his family. An exceptionally able administrator, he became the first Superintendent of Nursing at the Royal Derwent Hospital as well as President of the Royal Australian Nursing Federation (Tasmania) from 1972 to 1976.In 1983, Jim felt a need for a greater physical fitness and joined the Vets. His unboundless enthusiasm quickly endeared himself to all. Jim had an ever helpful disposition and a fierce determination to succeed. Jim ran the King of the Mountain race several times form Ferntree to the top of Mt Wellington. However, Jim never ran the 21km from the Hobart GPO, but for his 70th birthday, Jim changed that. With one of his Vet running friends and an ABC camera crew in attendance, he achieved his runners dream. Jim also ran on his birthday in 1989 and 1990. Jim passed away 44 days after his last marathon run up the mountain. With the help of Jims family and his wife Agnes of more than 50 years, a memorial run was organised and 2009 saw the nineteenth running of this event. Participants do not have to start at the GPO but may join in where they please or Join in a relay team with no specific numbers or distances. Download a historic list of office bearers and award winners.